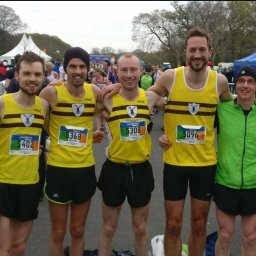 With success at least weeks NI & Ulster 10k Champs, this weekend saw Harriers target the Road Relay Champs in Victoria Park, race in Chicago, Cardiff and Cultra and parkrun. 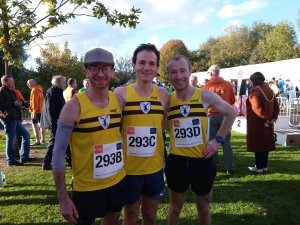 A record number of teams enjoyed the ideal racing conditions in Victoria Park on Saturday afternoon. 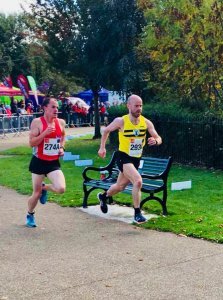 North Belfast Harriers were represented in the Master Ladies 3 x 3,380m, Masters Men 3 x 3,380m and Senior Men’s 3 x 3,380m events as well as the junior races. The Senior Men’s team put in a great performance in an exciting race to claim the silver medals with a collective 41:10. 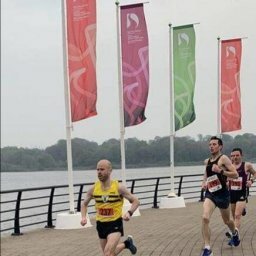 Andrew Annett ran 01:09:28 representing Northern Ireland at the inaugural Commonwealth Half Marathon Championships in Cardiff on Sunday, finishing in 41st place in a quality field of runners. 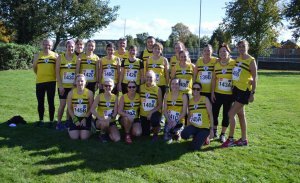 North Belfast Harriers were present on the podium at the Born 2 Run Charity 10k on Sunday. Placing 1st Mark Diamond 36:29 and 3rd Simon Reeve 37:15. Mo Farah won the Chicago Marathon on Sunday with a new PB, improving on London in the Spring. Having posted a new PB at Berlin only a couple weeks before, Philip McIlwrath knocked over 10 minutes off that at Chicago with 04:37:54. Rosy Ryan also completed the 26.2 miles adding another marathon medal to this years collection. 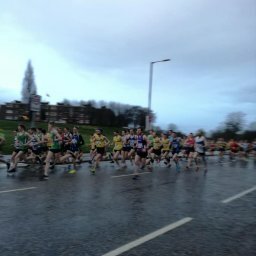 Stephen Walker also took on the wind and rain to finish in 03:19:58 and Paul Williams recorded 03:34:13. Over 50 Harriers turned out to parkrun at 14 different locations on Saturday morning.